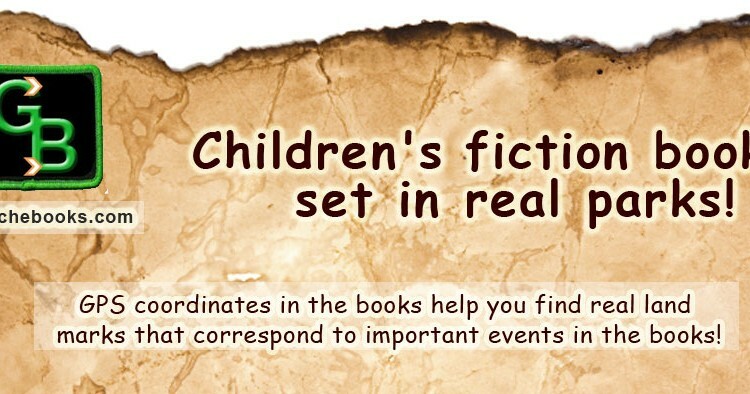 As can be seen on the banner above, Author Sara Murray writes children’s fiction books set in real parks, and GPS coordinates will lead you to landmarks in the books. Like so many other interviewees on this blog, we first became aware of her when she made herself known in Geocaching social media circles. The blogger made an immediate note of this; future interview subject! We were originally going to wait for the interview until her first full length book came out, but upon seeing (on social media) that she attended the recent Geocaching Block Party as a vendor, we decided a concept and orgin interview was in order now, and another when the first full length book is released. 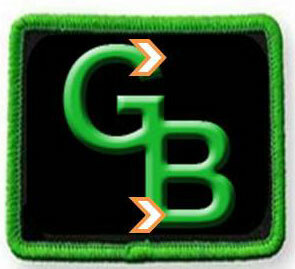 Clicking the banner takes you to her website, and you can follow Geocachebooks on Twitter and Facebook. On with the interview. OCNA Blog: The usual first question: where are you from, when did you start Geocaching, and how did you hear about it? Sara: I am from Minnesota. 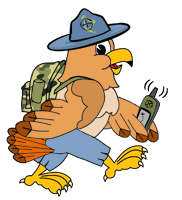 I started geocaching in 2009 with my daughter who was 4 at the time. I overheard some friends of mine talking about it and was very interested and so excited that there was little “treasures” hidden everywhere and I never even knew it! They were happy to explain and within a few weeks I bought my first handheld GPS and was enjoying tromping through the woods with my daughter looking for geocaches! OCNA Blog: How did you first come up with the concept of children’s fiction books set in real parks? Sara: When my daughter, Madison, was about four years old we heard about geocaching from a friend and decided to try it. We were instantly hooked. When she was 5 years old we started making up our own bedtime stories. We had, and still have, a lot of fun coming up with fantasy characters and neat magical things. One day while we were at a park geocaching and just enjoying the outdoors I had an idea to start incorporating real landmarks from a real park into our bedtime stories. My intention was to surprise her in the near future by bringing her to that park and watching the story come to life. I used a park from my childhood that I knew well and that night I started incorporating the landmarks and being very specific with my descriptions. Within about a month I felt I had built up enough of a story with enough landmarks to put the rest of my plan into action. I picked her up from school and told her I had a surprise for her and that we were going to a park. We started walking up a path in the park where a lot of the landmarks were located. She pointed out a bench on the side of the path and said, “Hey mom, that’s just like the bench in your story.” She was still pretty calm at this point. She realized that the bench was across from a large pond just like in the story, and then she spotted another landmark and started yelling, “Mom! Mom! I know this place! I’m going to the Ravine!” and running for the area in the park where all the really magical stuff happens. It was extremely fun to see her make the realization that we were in the park where our bedtime story took place. We spent a lot of time walking through the park and I showed her all the real things that I had used in the story. I turned what was a great magical land for exploring from my childhood into something similar for her. It was amazing to watch her imagination put all the elements together and I could see the wonder on her face as she remembered parts of the story and found the real places. As she was exploring and I was standing in that park taking this all in and feeling very satisfied that it had all worked out as I planned, I had the inspiration to create this same experience for other children, and my very next thought was that I could use GPS and latitude and longitude coordinates to make that happen. It was a huge epiphany. I started brainstorming and outlining the stories that very night over two years ago now. OCNA Blog: Will you be self-publishing the first book? I would imagine there are advantages to doing that versus pitching the book to publishers. OCNA Blog: Do you write the stories first, and then go to the parks to get the waypoints for the locations in the story, or vice-versa? Sara: I have done both. With the first book I wrote the story, and then went out to set the waypoints after it was completed. I was confident in how I set up the story because knew the park very well from my childhood. I knew I might have to adjust some things in the story but overall it went smoothly. When I am traveling and writing the short stories, however, I have no idea what the parks I will visit will be like. So I write the story very loosely, visit the park and pick some points, and finish the writing process after. OCNA Blog: You’ve already written a couple short stories, and posted them on your website. Is this just to give people a feel for what the full length books are going to look like? Sara: Yes, people are very curious about how this all actually works. They can see what it’s like and try it out. The short stories take place in the same “world” as the full length book, but they are told from a slightly different perspective. It also gives me something fun to do while I work on the full length book. OCNA Blog: Are there any other short stories that will be published before the full-length book is available? Sara: There will be at least two more short stories available before the book is out. One is about ten pages long and takes place in Eagan, Minnesota. The other is the conclusion to the two ultra-short stories that make up the Dream trilogy. The first of the three stories takes place in Minnesota, the second is in Seattle, and the third will be in Los Angeles, California. I am sure there will be more of these as time goes by. To get the links to these stories you can visit my site, geocachebooks.com, and sign up there. OCNA Blog: You’ve created a wordpress powered website and blog for the venture (great job, by the way), and you’ve put your name out there via Twitter and Facebook accounts. Do you feel this is important? Sara: An online presence and social media is extremely important to generate a fan base and interest. I am familiar with the process and I know what a positive impact it can make for a business. People want to be in touch with you, and know you are a real person. It’s actually been very fun to watch the interest for the books grow, and get to know other geocachers and authors this way. OCNA Blog: You recently traveled to the Groundspeak Block Party in Seattle, and had a vendor table. Did you get a good response there, as far as promoting the book? How about your overall impressions of the Block Party, just as an attendee? Sara: I got an awesome response in Seattle at the Block Party. Spending the day talking about the books, and seeing the reaction once people understood how they work was great. My daughter and I had a blast walking around, meeting the Groundspeak staff and getting a tour of the offices. It was great to meet so many other geocachers and hear all kinds of great stories. OCNA Blog: When can we expect to see the first full length book? Sara: I had hoped to get it into print and have it available for purchase before the snow flies in Minnesota, but I am not so sure about that anymore. It’s very important to me to put out a great book with great illustrations. The book is completed, and I am going through a second round of editing right now. We are about half way through at this point. I am also working with an artist on the illustrations. There will be between 5-7 illustrations including the cover. So far two images are set to be completed, and the rest are in the concept art stage. Once I have the completed manuscript and art I can start the process of self-publishing which should take an additional 4-6 weeks. I think it will be published near the end of November or beginning of December. We’d like to thank Sara for taking time out of her busy schedule, great interview! And our second consecutive interview with someone from Minnesota, that was just a coincidence, really. We definitely hope to chat with her again at the blog when the first book (title not yet definitely set) is released. In the meantime, be sure to visit her website, and follow her on Twitter and/or Facebook for updates on the progress. (The GCDoc Video) 31-in-31 Days of GEOCACHING: COMPLETED!